If you’re like many parents in America, you’re likely wondering how to start saving for your kids’ college education; or you’re feeling guilty because you’re not saving enough or at all. There are so many different ways to save for college these days from traditional college savings accounts to alternative investments, like real estate purchases that it can feel overwhelming to begin, even when you are motivated and have the means, however meager, to begin stashing some cash away for your child’s future educational needs. The bottom line is that when it comes to saving for college, it can be really hard to know which route to go and how much to save. Frugal Rules is here to make it a little bit easier with three steps to help you begin saving for college. When complemented with research, you can be confident that you’ll find the best fit for your family. There are many different types of college savings accounts. The most popular one is a 529 college savings plan. Investopedia has a very in depth guide to 529 savings plans if you want to learn more, but essentially, a 529 plan is an account that grows on a tax deferred basis. Then, you can withdraw the money to pay for educational expenses for your child when it’s time for them to go to college. With a 529 plan, you must use the money you save to pay for educational expenses or else you will receive a penalty. Another popular type of account that is similar to the 529 plan is the ESA account, also known as an educational savings account. 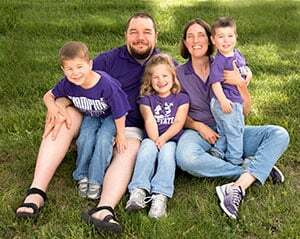 You can put up to $2,000 each year in an ESA account, and similar to the 529 plan, it grows tax deferred and has to be used for educational expenses. 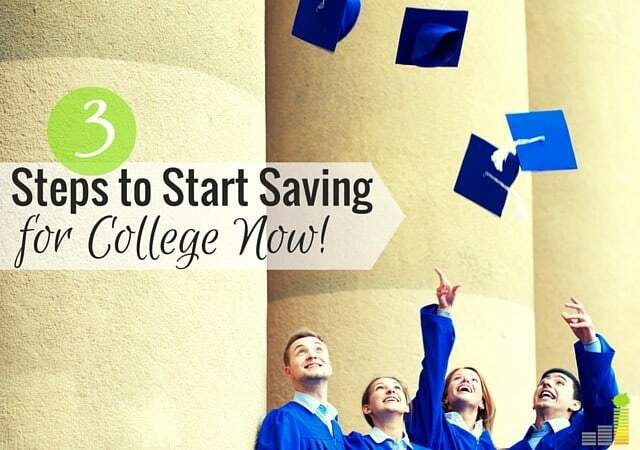 529 Plans and ESA accounts aren’t the only way you can save for college. There are other types of accounts and college savings ideas that you should consider. For example, you can open a custodial investment account for your kids. This is called a UGMA/UTMA account (aka Uniform Gift to Minors Act). I actually decided to put my kids’ money in a custodial account in Schwab, the bank that holds my investment and retirement accounts. I just choose a basic Schwab index fund and right now each of my twins has a little over $800 in their accounts at age 2 because I’ve put all their birthday and Christmas money in there. Every time I move money into their accounts, I always add around $25 each from my own accounts too just to pad it a little bit. The reason I put their money in a custodial account and not in a 529 account is that I want them to use those funds for whatever they want. If they want to go to a more expensive out of state college, and I can only pay in state rates, then they can contribute some of their own money. If they want to buy a car or put a downpayment on a house, they can do that too. I’m sure we will talk openly about how to use their money as time goes on and all the different smart options they can use it for, but essentially I didn’t want their savings to be limited to just paying for college. I want lots of options to be open to them. Another alternative to saving for college is to buy rental properties with 15-year mortgages, so that by the time your kids are college age, you’ll have cash generating properties that can pay for their expenses. This is what the Johnson family at Club Thrifty is doing in addition to putting small sums of money in their two daughters’ 529 accounts. 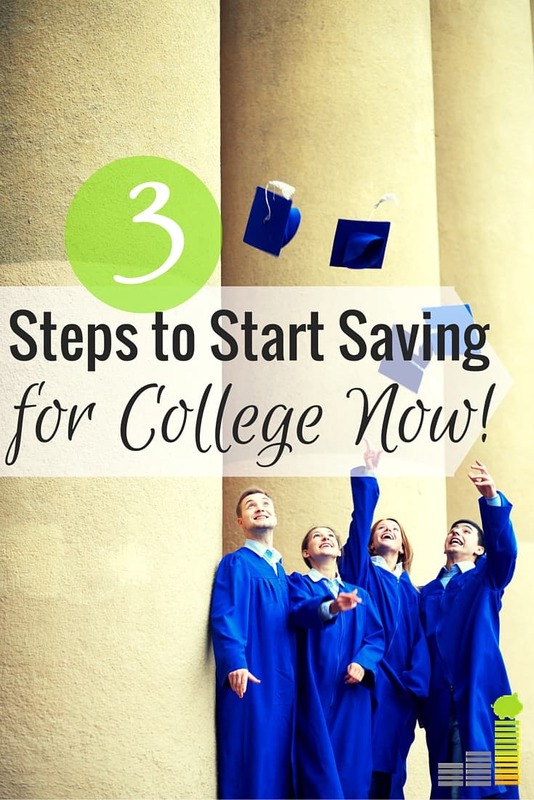 Once you’ve reviewed all the different options for saving for your children’s college and you’ve settled on the one that’s best for your family, it’s time to complete the last step and decide how much to contribute each year to the accounts. You can use this super simple college calculator to get a good idea of what college will cost by the time your child is 18. It’s a great calculator because you put in the age your child is now. Then, you can put in the tuition for an in state school or a typical out of state school and it will adjust for inflation. Put in how much you have saved so far and it will tell you how much you need to save monthly to reach your goals. Ultimately, the earlier you start saving for college, the better, and the more research you do, the more informed your decision will be. Remember that if you go the 529 route, there are many different types of 529 accounts including funds that you can manage or funds that have a manager. It’s important to do some research and choose the one that will best fit your situation and your comfort level with investing. There are also some tax advantages to many college savings accounts, and it’s important to note that a custodial account affects financial aid differently than 529 or ESA accounts when it’s time to fill out the FAFSA and find your estimated family contribution. I know it’s a lot of information, but it’s important to learn as much as you can about all of the different options. If you’re struggling with how to find money to set aside each month or year for your kid’s college education, a free online tool like Personal Capital can make it a little easier by helping you track your expenses to identify things you can cut. Once you free up that money, you can shift it to college savings and then use Personal Capital to track the performance of that and all your linked investment accounts. As you work toward this worthy goal realize that if you’re able to help your children with their college education, it’ll be one of the best gifts you could ever give them. How are you saving for your children’s college education? What are your biggest fears, concerns or questions about saving for college? How do you balance saving for retirement while also putting away for your child’s education? Great tips Cat. I suggest talking with you kids about the saving too. Set their expectation from the beginning so they understand what amount you will be willing to fund for their college education. This will help them understand the cost, help save, apply for scholarships, etc. 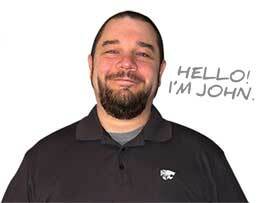 We are currently utilizing a 529 account for my daughter and we’ll set one up for my son shortly. I’ve been considering other types of vehicles, but for the most part feel comfortable with the 529. But who knows, they may have something else soon if the benefits outweigh what we’re currently doing. I am currently saving to help pay for my younger brothers’ college education. They are 9 and 12. I don’t want to open a 529 because of the restrictions the money can be used for. Right now, the money is in an online savings account. Do you think it’s worth moving it to an index fund? Great information, Cat! We opened 529 accounts for our kids when they were young, have invested birthday and Christmas money and, as teens, they have enough to pay for almost 2 semesters at a public university. We focus on the retirement accounts more aggressively than college savings. The contributions to a Roth IRA can be used, without penalty, to pay for college expenses. My answer to all three of these questions is…delaying having children. I know it’s not an option for everyone and probably isn’t “ideal” for most people, but my wife and I want to do a few things before having kids: pay off most (or all) of our student loan debt, my wife finish grad school, renovate our house (at least the first floor), and in general just be further along in our financial journey. Hmm this could be a good post idea…and set me up nicely for a second post when we actually end up having kids! As a physician who specializes in treating infertility, I just want to say that I do NOT advise waiting to have children for monetary reasons. I have worked with countless couples trying to conceive, and many are devastated that they waited as long as they did to start having children. Obviously everyone needs to make their own decision on this (and certainly not rush into having children) I just want to remind people that they are not fertile forever!